Kyilla Park North Perth is really unique in that it has 4 separate play sections spread out across the park. 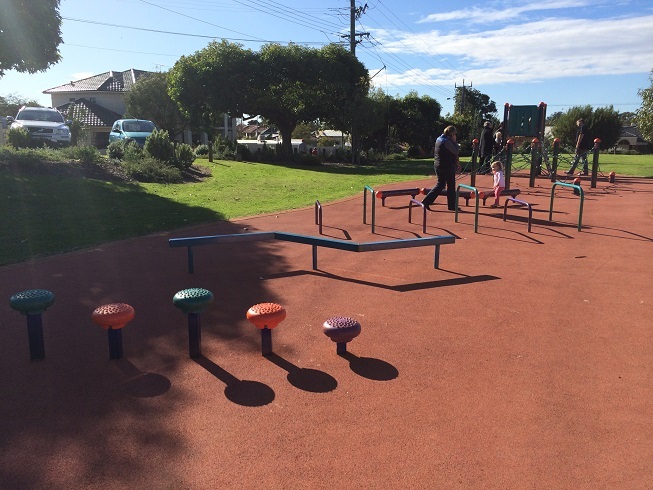 Each play section features very different play features and there is something for kids of all ages. 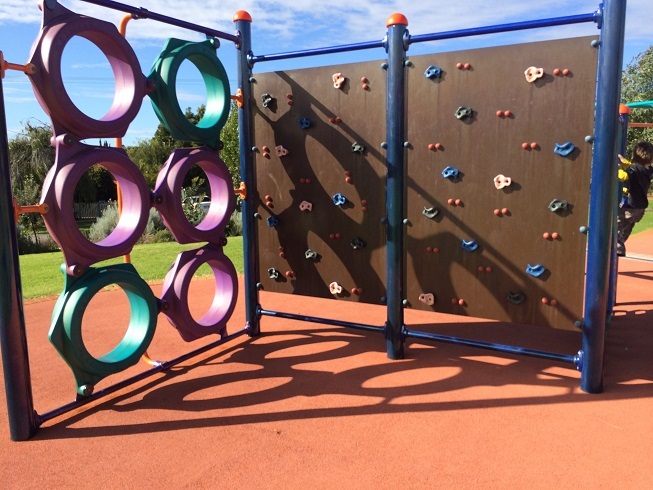 The first section features different levels of rock climbing type of play equipment, monkey bars and climbing rope on rubber softfall. The second section also located on rubber soft fall, is great for littler kids with lots of lower level play equipment. 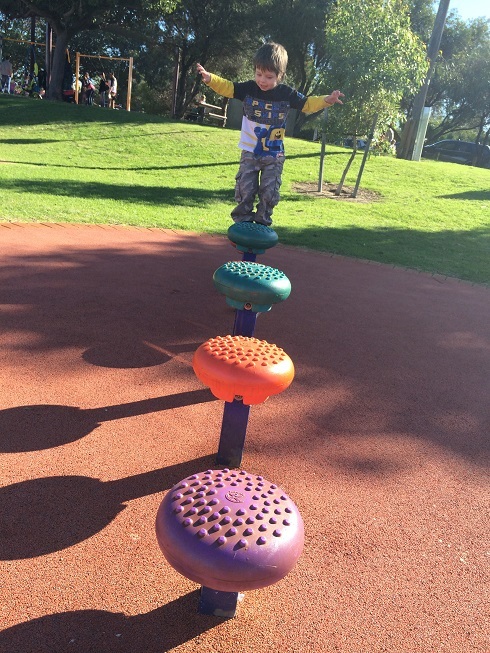 With a low level climbing frame, balancing beams and stepping stones type equipment. The third area is the best shaded section with natural shade and a shade sail. 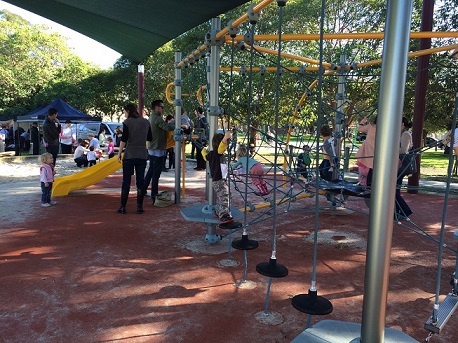 It features lots of rope climbing challenges, a slide, swings and some toddler sand play features also. It's mostly rubber soft fall with some sections of sand. And the last section features a climbing frame and another little play structure with some rope swinging features. There is plenty of parking around the perimeter of the oval, toilets close to the playground areas and a small shelter in between the toilets that can be used to shelter on a rainy day. 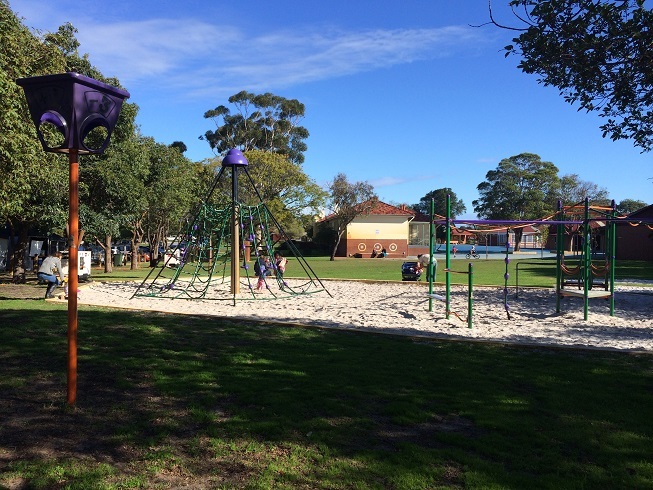 This park looks like it is used or forms part of the primary school grounds, so you may find that school children play here during their breaks in the week. 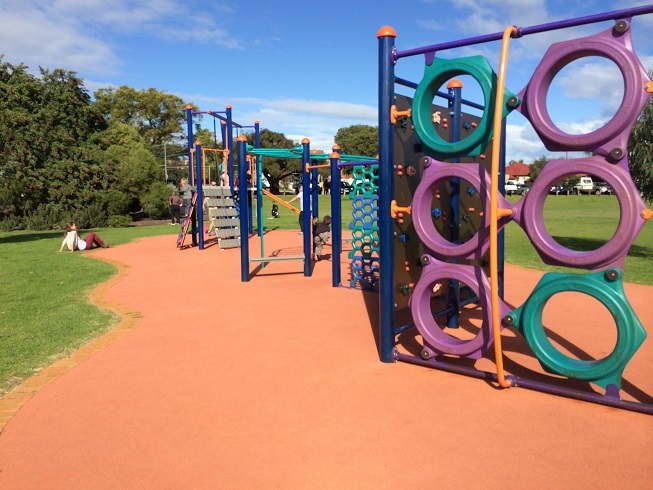 Kyilla Park is recommended for kids of all ages, with lots of different play features to suit all ages and abilities - your child is bound to love going back and forth between each section, or take a ball along and kick in on the large grassed area. There is also a basketball ring and wall so you can shoot some hoops or take a tennis racket and hit the ball against the wall. 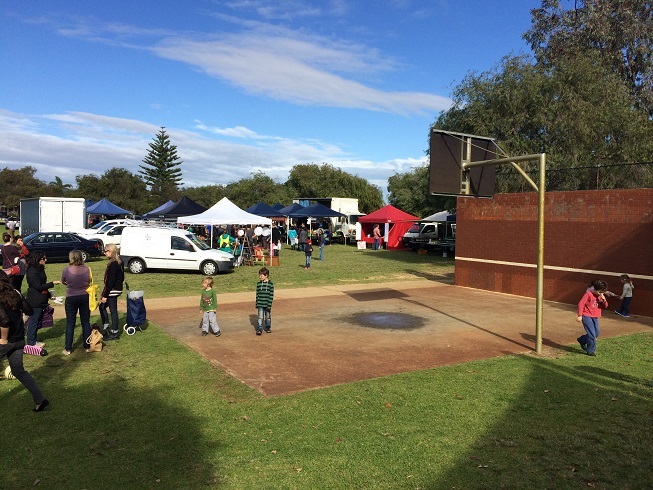 This is also the home to the Kyilla Community Farmers Market on Saturday mornings from 8.30am so it's a fun time then to come for a play too after Mum and Dad have enjoyed wandering through the market. Want access to information on Kyilla Park on the go? 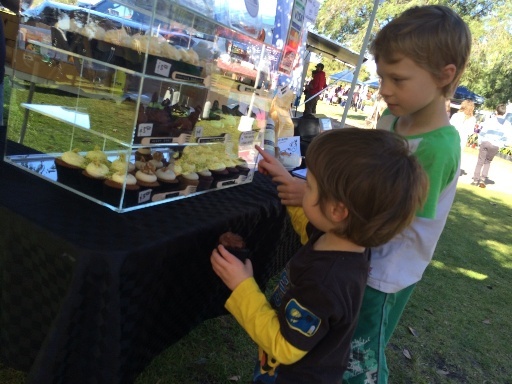 Then get the Kids Around Perth App for access information and maps on the go!